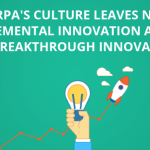 How DARPA's Culture Leaves No Room for Incremental Innovation? Internet, Stealth Aircraft, artificial limbs, a flat screen display are all the inventions that are children of DARPA. Time and again, if there is one organization that never settled for incremental innovation and always hunted a breakthrough, then that is DARPA. It has a long-standing glorious history of 6 decades of delivering never-seen-before inventions to the military and civilian world that changed them for better. 6 decades is no joke. Accidents don’t happen for such a long time. So what is the secret? It’s the processes that DARPA follows and the culture it possesses which automatically first attracts people to join the organization and second propels them with zeal to find and deliver a breakthrough invention. In today’s post, we would have a look at the DARPA’s culture making it evident that the organization always hunts breakthroughs and never indulge in finding incremental inventions. We will cover the different processes they follow in other columns. So without further ado, let’s dive right in. One of the key features of DARPA culture is that researchers come there for a fixed tenure of five years. In that time they have to meet the end goal for which they joined the organization. An ID card that an employee gets, has his end-of-tenure date written on it. This short tenure of a program manager, directors, deputy directors, etc. constantly reminds everyone that their time to accomplish the goal is limited. The sense of time ticking away is “the heart of the whole thing. It is an impetus to venture into the unknown, to get people to put something forward, to build the prototype warts and all. A high turn over rate is considered as a huge problem by almost all the organization around the globe. At DARPA, however, it is intentional. Its annual turn over rate is 25% which means all the old employees you meet on your first day at DARPA, you won’t see them at the end of your tenure. DARPA’s philosophy is totally opposite to the conventional thinking of hiring and retaining, that most of the organizations possess. While organizations around the globe think the departure of an old experience employee as a loss of vital technical knowledge, DARPA considers staying of an old experience employee as a promotion of risk aversion which stands in the way of breakthrough innovation. DARPA believes that an experienced employee sticks to the past failures and use it as a weapon to prove why something can’t be done. It could be impossible back then. 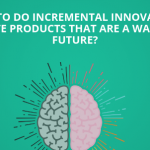 However, in the era of fast-paced technological progressions, it could be possible. The longer you’re in one place, the more tendency you have to become risk-averse. You start to refine what you’re doing as opposed to throwing out what you’re doing and starting fresh. Ok, before we both move ahead, I have a question to ask. May I? Thanks! You’re so kind. So tell me, won’t you like to be the part of an organization that gives you a chance to change the world for better by using your technical expertise? Do let me know your answer in the comment box. 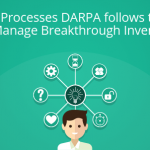 If there is one thing that attracts the finest of the finest from academia and industry to DARPA for a short tenure and further fuel them to come up with jaw-dropping inventions than that is their mission statement. DARPA’s mission is to “change the world” and it invites people to be a part of “shaping the future”. 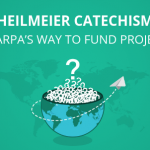 This mission statement attracts and energizes everyone to put efforts into creating something that will affect the well-being of citizens around the globe and increase the chances of their survival by multifold. Further, the mission in conjunction with short tenure increases the urgency of finding a solution as a large part of the organization’s work is for American Soldiers. If you pass up the opportunity to be part of the solution, you become part of the 5 problem for the rest of your life. If there is one thing that seems non-existent in some organization or which has a scarcity of, then that is “trust” and “autonomy”. Plus, trust and autonomy are twins. One can’t be born without another. If there is trust only then there would be autonomy or vice versa. Get the best people, then trust them. At DARPA, trust is a vital factor in their workflow. The key to innovation at DARPA is that everyone has the freedom to take actions without asking for permission from his program manager. There are no marching orders. The marching orders are: create innovation. No idea is too crazy. 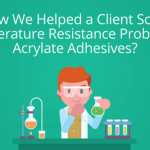 The reaction is never, ‘That’s impossible.’ We say, ‘How would you do that? How would you get there? Write down the steps. If you’re on the fence, err on the higher-risk side. Why study the feasibility of a project for six months if you can get further and learn more by starting the work? If half the people don’t respond to a publicly-announced challenge saying it’s impossible, we haven’t set the bar high enough. If it’s not transformative, change it.